Visiting Chinese destroyer the Qingdao (front) and Indian naval tanker Shakti (back) dock at the dock of the Naval Operational Command in South Korea’s southeastern city of Busan on June 23. 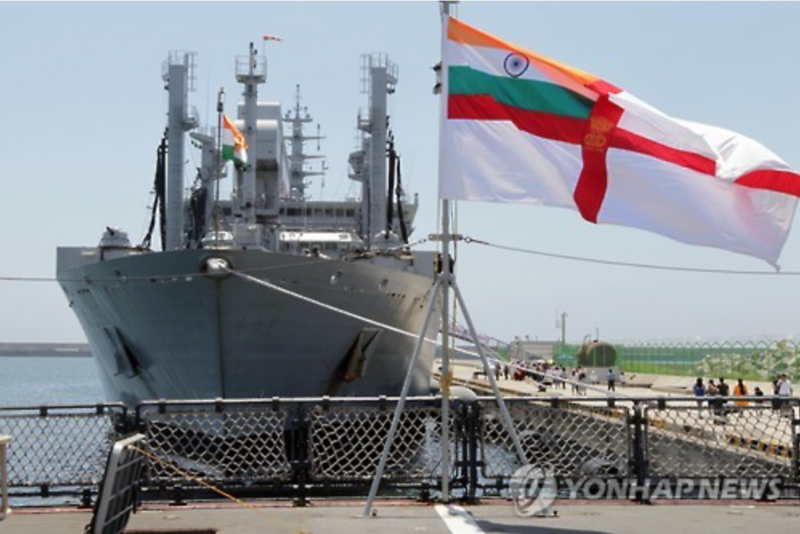 BUSAN, June 23 (Korea Bizwire) – On Jun 21, three naval vessels from the Indian Navy made port at the dock of the Naval Operational Command in Busan after participating in a combined military exercise with the United States. 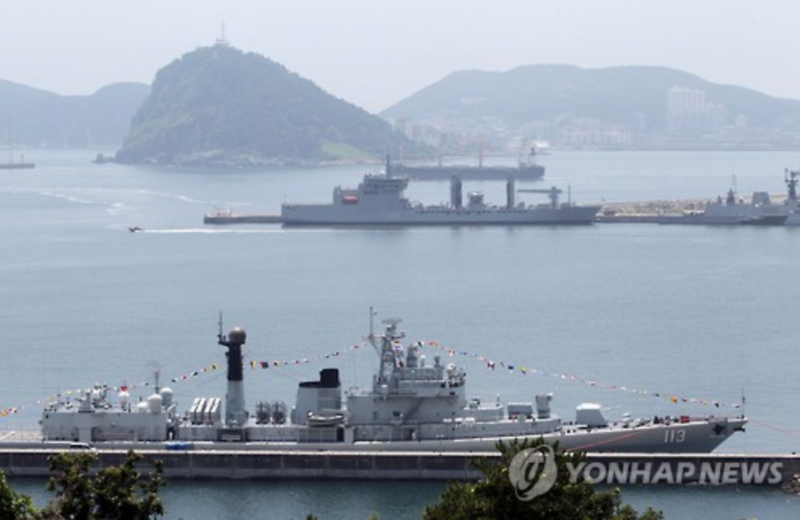 And today, June 23, three other naval ships, this time from the Chinese Navy, also arrived at the base with a planned departure set for June 27. 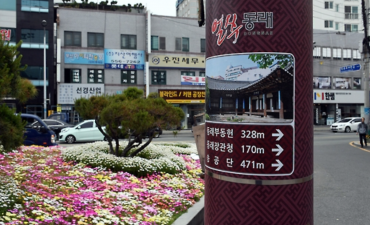 It has been reported that China refused an Indian proposal for naval exchanges between the two during port calls in South Korea. China and India are currently locked in a tense standoff in the South and East China Seas, and the two parties will have to endure this awkward encounter for the next three days until the Indian Navy vessels leave port on June 25. 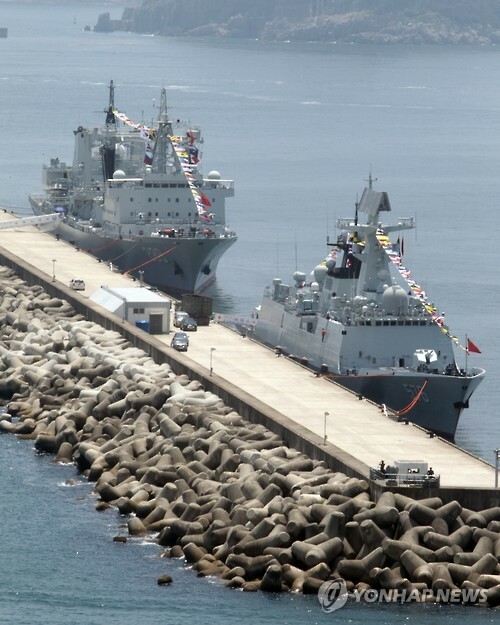 Chinese naval vessels made port at the dock of the Naval Operational Command on Thursday.